Lots going on in the east end and along the waterfront this weekend. The Redpath Waterfront Festival looks great, much of it takes place at Sugar Beach / Sherbourne. Getting there by bike is rather pleasant. 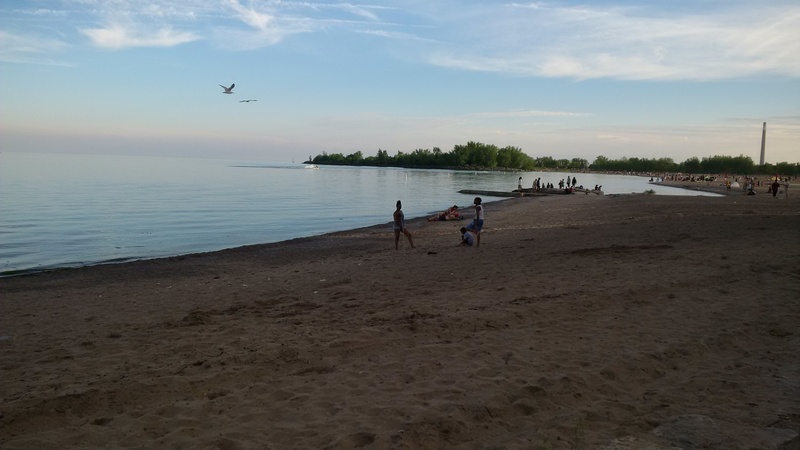 Beach at Ashbridge’s Bay Park, Toronto, June 2015. An event focused on bringing together all barbecue enthusiasts. Come out to this FREE RIBFEST to enjoy great BBQ, Live Music, Children’s Area (complete with rides! ), BBQ competitions, Grilling Demonstrations and Craft Vendors. Enjoy an ice cold brew while you explore the festival grounds. 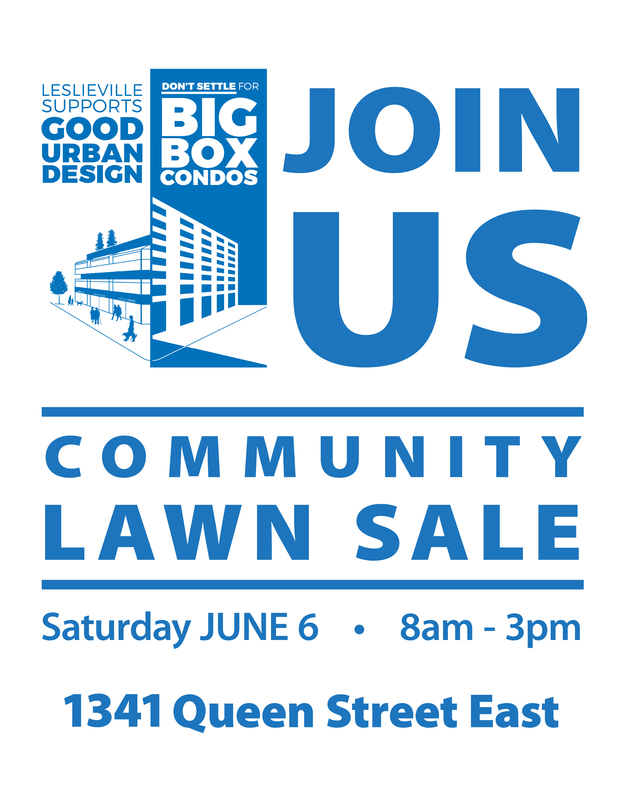 A community favourite that has something for everyone! 5 events, 4 parks, 3 days, 2 kilometres, 1 giant party! Come to the Redpath Waterfront Festival and Party on the Promenade as we open Toronto’s newly revitalized waterfront. The party starts Friday evening with DANCE Pan American Style in HTO Park and continues all weekend with entertainment along the Queens Quay Boulevard and Martin Goodman Trail. Enjoy buskers, dance demonstrations, art on the water, parades, live music, a Waterfront Artisan Market, stand up paddleboarding and more. Presented by The Waterfront BIA. For more information, visit our website. 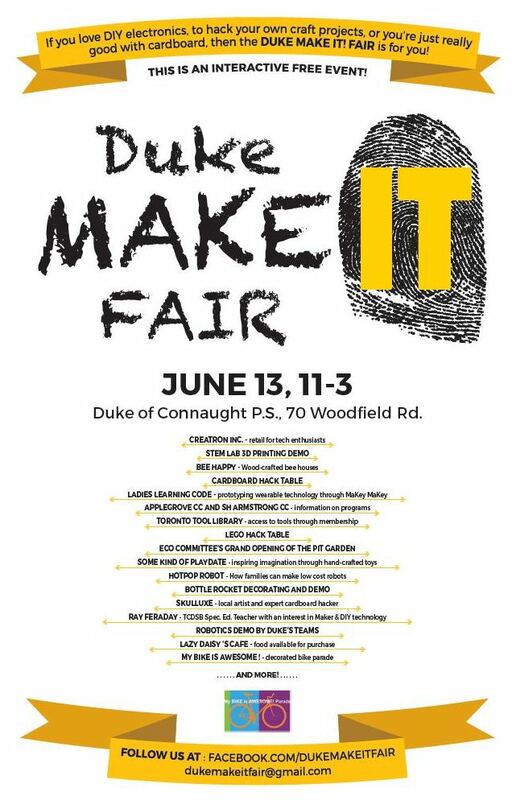 Join us at our annual Spring Art Walk & Street Fest! Local artists will show a selection of their work at various Pop up art galleries set up in selected businesses all along Kingston Road, between Hannaford and Blantyre. Children’s activities, face painting, music, contests, in-store specials and more. Fun for the whole family! Meet at Beaches Branch Library, 2161 Queen St. E.
The walk will start at 1pm from the Beaches Branch Library, and ending around 3pm at Corpus Christie Church at Queen and Lockwood. Get a sneak peek at some of The Beach’s most interesting and amazing gardens, all sizes and all aspects, from quirky to classic. Enjoy delightful music and refreshments in a sylvan setting. Tickets (limited number) available at local merchants, visit website for all locations. Today marks the official first day of summer. The Do it for Dads Walk Run 5KM is a fun, family-friendly event, hosted on Father’s Day, that raises awareness and funds for the leading cancer affecting Canadian men and the families that love them. Registration: $35 or fundraise $125 and waive your registration fee. Your donor dollars are having an impact on research that has the greatest potential to improve prostate cancer prevention, diagnosis and treatment to ensure a better quality of life for survivors. Registration Open: 8:30AM. Walk/Run Start Time: 10:30AM. Additional Information: Join us after the event for live entertainment, refreshments and more! And of course our farmer’s market in Jonathan Ashbridge Park, Sundays 9 to 2. 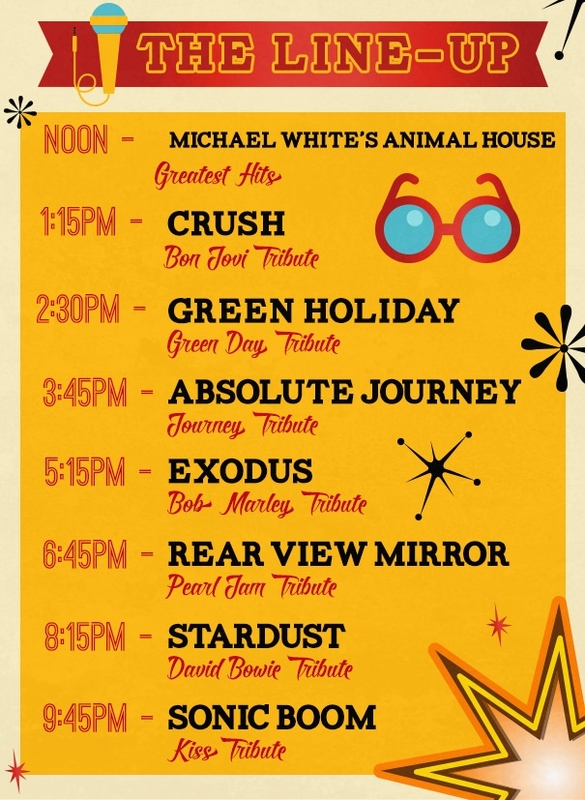 This entry was posted in Uncategorized on June 19, 2015 by The Ashbridge's neighbourhood. Click on the photos to see the full posters. 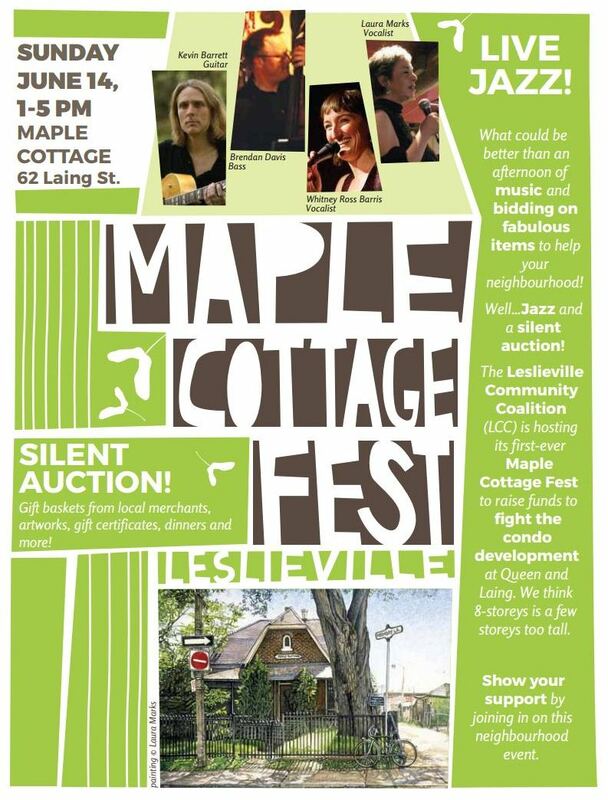 Maple Cottage, 62 Laing Street. Two blocks west of Queen and Greenwood. 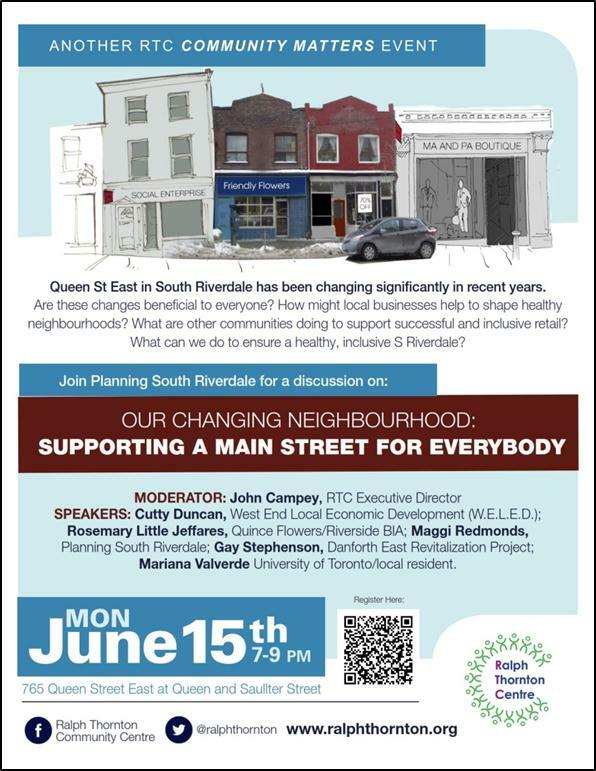 West of our area, but an important east end event – should be an interesting talk about Queen Street East. 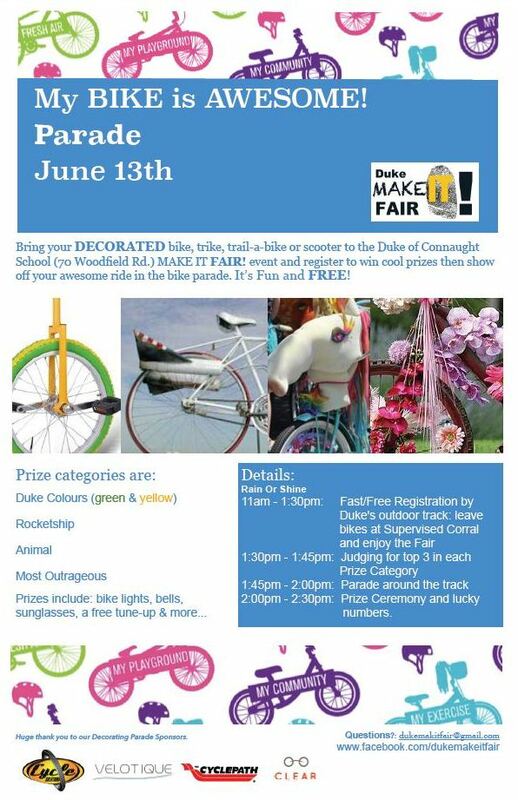 This entry was posted in Duke of Connaught Public School, Event, J. Ashbridge Park, Queen Street on June 8, 2015 by The Ashbridge's neighbourhood. June 13 update – 260 votes for this tree. Click on “vote” to see all the trees. 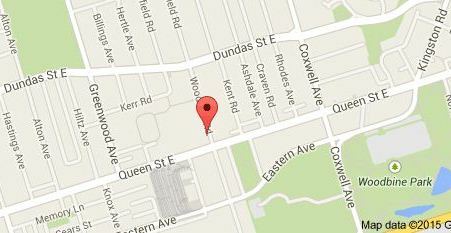 NEAREST MAJOR INTERSECTION TO THE TREE OR NAME OF PARK: Queen/Greenwood Aves. 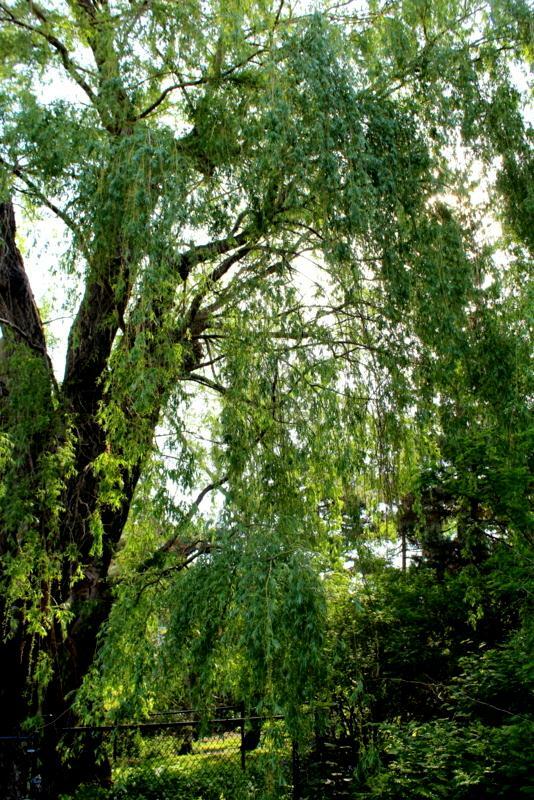 BRIEF STORY: This amazing willow tree, almost 100 years old, is a striking feature of the Ashbridge Estate, a green oasis on Queen Street East. The tree is one of many gorgeous specimens on the Ashbridge Estate, which is a green remnant of the much larger Ashbridge Estate (farm) which extended from Ashbridge’s Bay to Danforth Avenue, between Greenwood and Coxwell Avenues. This entry was posted in Ashbridge Estate, Ashbridge neighbourhood history on June 1, 2015 by The Ashbridge's neighbourhood.